We invite you to become a part of a long held and proud tradition of raising boys and girls in the ways of sportsmanship, pride, courage and resilience through the sport of Football and Cheerleading. We are a volunteer-run organization that depends solely on the support of you, our generous sponsors. 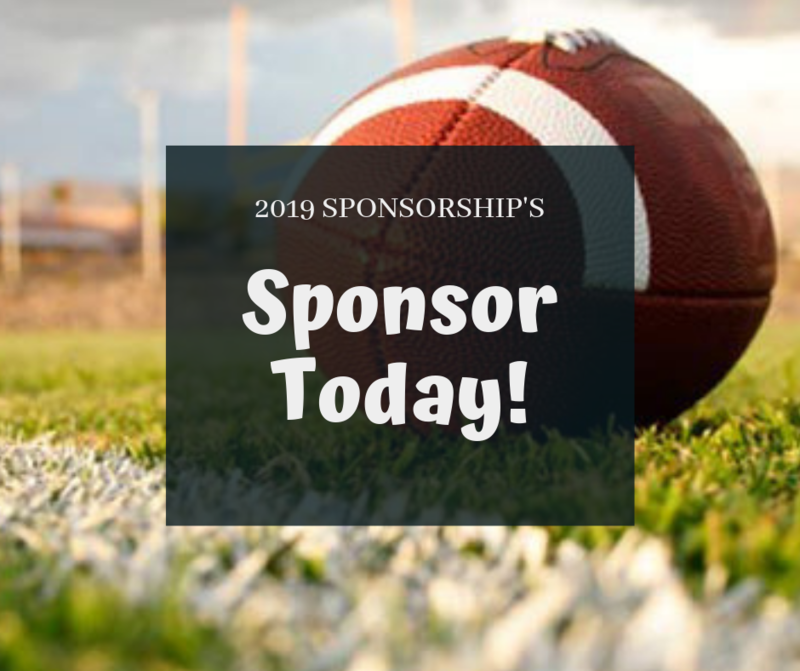 The funding we receive from your sponsorships pays for vital equipment to keep our athletes safe and protected, provide practice and game field access, trainers, referees, insurance, and operating expenses. We are a 501(c)(3) and all donations are tax-deductible. With the 50+ year history we have not only in Western Loudoun, but in all of Loudoun County, we can guarantee that as a sponsor your name and business will be seen by spectators from our community but also by spectators from our neighbor communities of Leesburg, Ashburn and Sterling. Our goal is to implant firmly in the youth of the community the ideals of goo sportsmanship, honesty, loyalty, and courage, so that they may be well-adjusted, strong, and happy, and may grow to be good, clean, healthy, and trustworthy citizen. 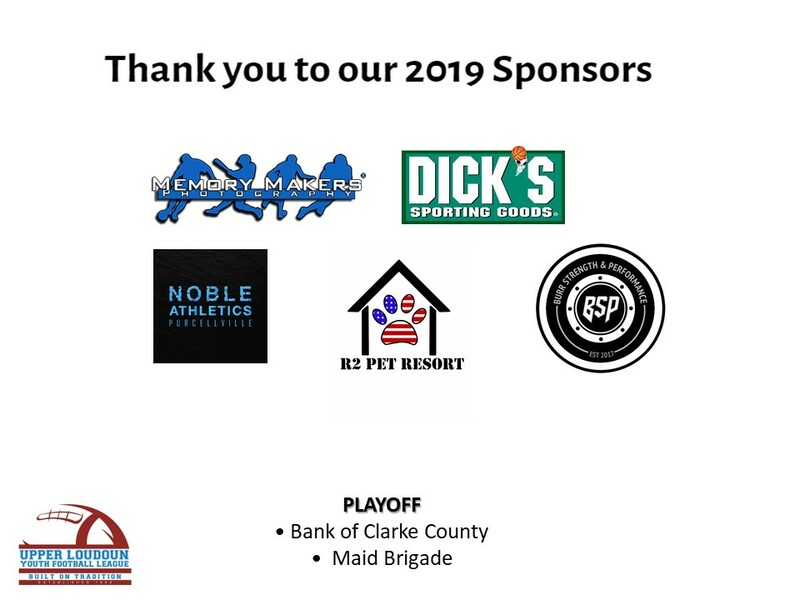 For those interested in becoming a Sponsor, please complete and submit the Sponsorship Application or you may purchase your sponsorship here. For more information or with any questions, please reach out to Stacey Schoeffler, our Fundraising Coordinator @ .